Shri Ashok G. Bagewadi B.A.B.Com. Shri Amit P. Kore B.E.M.B.A. Shri Shrishailappa Channappa Metgud B.Com. Cotton Merchants, Bharat Oil Mills, BAILHONGAL-591102. Dist:Belagavi. "Shiddhaling Krupa", Deshpande Nagar, HUBBALLI-580029. Shri Basavaraj R. Patil B.A. A/p.Belwadi - 591104, Tq. Bailhongal, Dist: Belagavi. Plot No.2826, Sect.No.12, Old Post Office Road, Shrinagar, M.M.Extn., BELAGAVI-16. Shri Anil Vijayabasappa Patted B.Com. 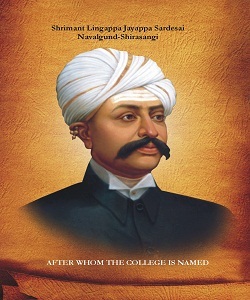 Dr. Virupaxi S. Sadhunavar M.B.B.S. Shri Mahadev S. Baligar M.Sc.M.Ed. Dr. B.G. Desai M.Pharm., Ph.D. Professor, KLE College of Pharmacy, Belagavi.